for those planning to attend the concert at Riverside Church this Sunday, please be aware that there is no 1 train service this weekend above 96th street. There will be a shuttle bus running up Broadway to the local stops. Alternatively, you can take the A to 125th and transfer to the M60 bus going west/south to Broadway and 120th. 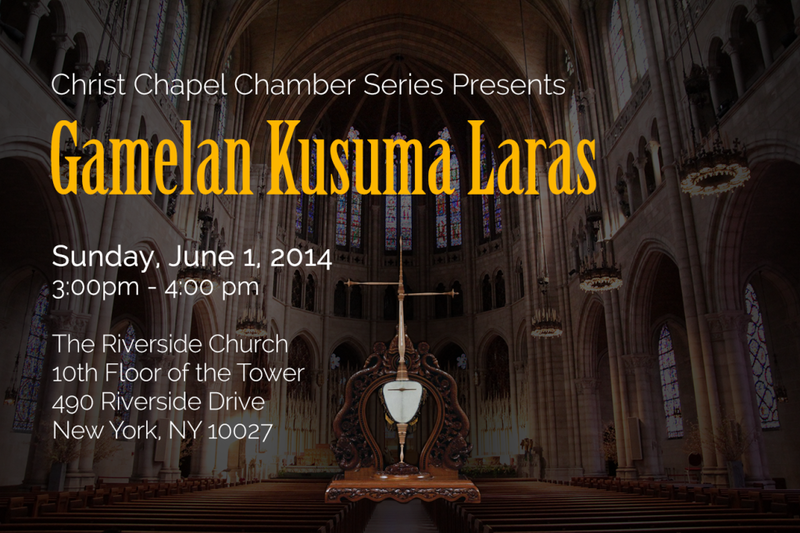 Gamelan Kusuma Laras, New York’s premier Javanese gamelan ensemble. Be transported to Indonesia by this mystical Javanese orchestra as it takes you on a journey through central Java with classic works from the centuries-old traditional repertoire. A free-will offering for the artists will be taken at the door.